Dedication plaque of the Navy-Merchant Marine Memorial in Arlington, Virginia, on Columbia Island on the banks of the Potomac across from Washington DC. The memorial honors those who lost their life at sea in World War I and was dedicated in 1934. The main sculpture is cast from aluminum. 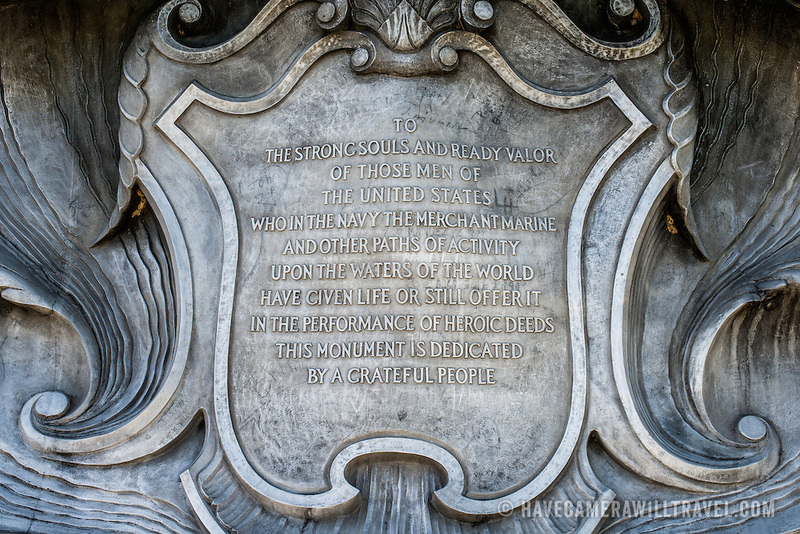 The plaque reads: "To the strong souls and ready valor of those men of the United States who in the Navy the Merchant Marine and other paths of activity upon the waters of the world have given life or still offer it in the performance of heroic deeds this monument is dedicated by a grateful people."